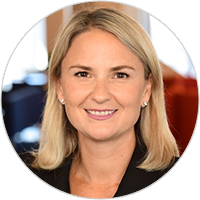 Corrie Briscoe is the Head of Channels and Alliances for Amazon Web Services, Australia and New Zealand. Together with her team, she engages Australia and New Zealand’s most strategic, growth and emerging partners, including Global Systems Integrators, large National SIs, new and developing ‘Born in the Cloud’ Partners, and Technology and ISV partners to help them build successful businesses with AWS. 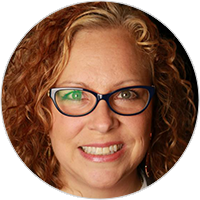 With close to 20 years’ experience in the IT industry, Corrie has held senior roles in sales, channel and partner strategy, enablement and marketing, and has a strong history of driving change within sales and partner organizations. She is a highly skilled leader with a keen interest in new channel ecosystems and challenging the way organizations engage, enable and reward partners. Based in Sydney, Corrie is passionate about the AWS Partner Community and is excited to be part of this innovative, fast growing network. Paul leads the Amazon Web Services business across the ANZ region. 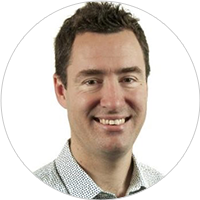 Prior to joining AWS Paul held leadership roles in Asia and Australia with BT, Motorola, Regus and Ernst & Young. Most recently as the CEO for Regus ANZ and Regional Managing Director for South Asia (ASEAN & ANZ) at BT. Paul is deeply passionate about the role technology plays in helping customers to innovate and transform. AWS services are trusted by millions of active customers around the world – including the fastest growing startups, largest enterprises, and leading government agencies – to modernise their environments, free them from legacy debt and friction, and accelerate agility and innovation. Matt leads the AWS Partner Solution Architecture team in ANZ and has been working with cloud technology since AWS launched their Sydney region in 2012. Prior to his current role he worked as an AWS Partner Solutions Architect focusing on the technical enablement of AWS partners so they can best help customers build cloud solutions and solve problems using the AWS platform. 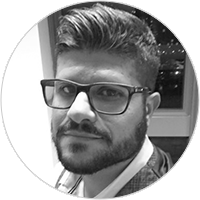 He has previously worked with cloud-native start-ups and spent many years in consulting as the technical lead and/or delivery lead for large enterprise IT projects. 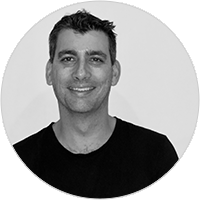 Mark is an Industry Analyst with the Advisory and Consulting organisation Tech Research Asia. Prior to this he spent more than 25 years in the Software, IT and Telecommunications industry in Europe and Asia-Pacific. He focuses on emerging technology trends and their impact on the traditional vendor-partner-customer relationships and how partners can evolve their go-to-market strategies to accommodate the new world. Mike Fuller has worked at Atlassian's Sydney Australia head office for the past 7 years, currently as a Principal Systems Engineer in the Cloud Engineering Team (Cloud Center of Excellence). Mike's role at Atlassian has him working with most of the AWS Services and assisting teams inside Atlassian to operate with security, high availability and cost efficiency. Atlassian's Cloud Engineering team is responsible for the design, governance, and implementation of best practises at Atlassian. Mike holds a bachelor degree in Computer Science and 9 AWS certifications and has presented at multiple AWS Re:Invent and AWS Summit events on topics involving AWS Security and Cost Optimisation. 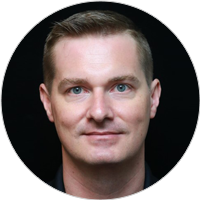 Shane is an experienced technology leader and strategist passionate about assisting enterprises deliver digital solutions with compelling user experiences. 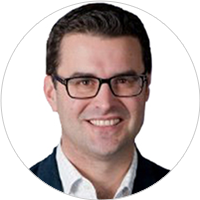 Specialising in strategy, architecture and solution delivery Shane has a proven track record of guiding customers through the complexity of digital transformation enabled by smart use of cloud services. 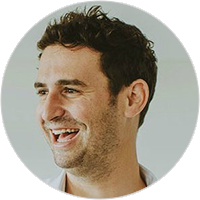 Oliver is CEO of GorillaStack and has led their commercial & strategic efforts since co-founding the software business 4 years ago. In that time GorillaStack has grown to become an Advanced Partner of Amazon Web Services, gained their Cloud Management Tool Competency and has established itself as an integral tool for enterprises to automate the optimisation of their AWS infrastructure. Prior to founding GorillaStack, Oliver founded and grew a fintech to a successful acquisition and held product roles for eBay and News Corp where he led the international product team for MySpace. Oliver relishes the daily challenges of running a startup that navigates the challenges of selling to and working with large enterprises on a global scale. As Olikka's Solution Director Ross is responsible for identifying technologies and bringing them together to form a solutions that change how our customers do business. 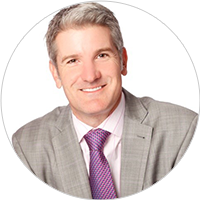 Ross has over 20 years of IT experience with global integrators and solution providers. Micah Smith has over 20 years’ IT and leadership experience and is Versent’s GM for Migrations. 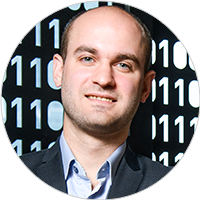 He is responsible for overseeing the successful delivery of customer cloud migration work across Australia. Micah will continue to leverage Versent’s re-usable patterns and I.P., that has formed the platform for business growth to date. As GM for Migrations, Micah is focused on enterprise customers with datacentre moves or major infrastructure investment requirements and helping them to rapidly migrate in weeks and months. He specialises in solving unsolvable challenges and “never leaves any workloads or data behind”, including both migration of both modern applications and “hard to dislodge” legacy applications into AWS. 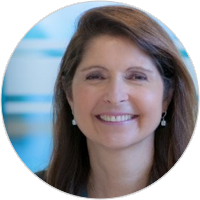 Barbara Kessler leads several of the APN’s global programs, including the foundational APN Program and Managed Services Provider (MSP) segment and Partner Program, and is responsible for development of partners globally. Barbara has worked with partners and programs across the information technology industry for more than 15 years. 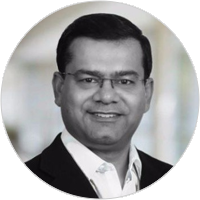 Andy Bhaduri is part of AWS’ Partner organization and specifically responsible for our global ecosystem of Data & Analytics Consulting Partners. Working with local AWS teams, he helps identify focus consulting partners and grow their AWS Data & Analytics business through focused and sustainable mechanisms like practice building, defining focus markets, aligning on strategy & GTMs, and creating differentiated offerings. 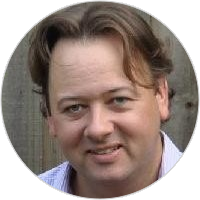 Andy has over 20 years of experience in Enterprise Software, IT Consulting, and building channel programs & alliances across global markets. Cynthia Gallant has been with AWS for the past 4 years, leading the development of global channels and alliances across a wide range of market segments; including: DevOps, Development Tools, Migration, Cloud Management, and End User Computing and Productivity Apps. Prior to AWS, Cynthia held executive level positions with data center and cloud software, infrastructure and consulting organizations as part of Fortune 50 companies as well as founder/executive in three venture-backed start-up companies. Cam is responsible for the Strategy, Strategic Initiatives, Service Incubation and Operations for the Amazon Web Services Channel and Alliances business globally. Before this role, he led the Amazon Web Services Channel and Alliances business across Asia Pacific which provides an essential route to market for AWS. The role covers both Technology and Consulting partners across System Integration, Reseller, ISV, Managed Services Providers and Distribution. He has over 20 years of experience in the ICT industry, both in the public and private sectors across sales, product management, solutions, channels and service delivery. 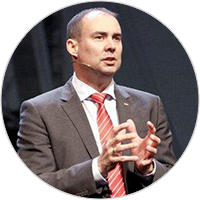 He is an industry innovator and passionate about technology within business. 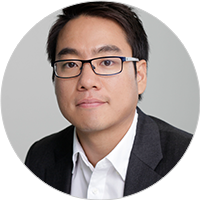 He has held senior roles managing business units and teams across APAC, Americas and Europe. Cam has lived and worked in Australia, Singapore, and the United States. He has recently moved to and is based now in Seattle. 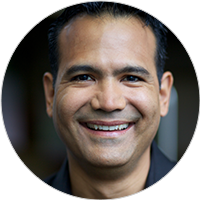 Jorge A. Lopez leads the data & analytics partner segment at Amazon Web Services. Jorge has over 20 years of experience in big data, business intelligence, and data integration. In addition to all things data, he enjoys listening to music, reading, and exploring the outdoors. Karl has spent the past 20 years in various information technology and leadership roles, ranging from Support, Application Development, Operations, Product Development and Sales. He presently runs the ISV business unit for AWS in Australia, working with Australian software companies to leverage the AWS platform to enable them to scale and succeed globally. As the ISV Success Manager at AWS, Kevin is responsible for the joint Go-To-Market Strategy with ISVs across Australia and New Zealand. Prior to joining AWS, Kevin has spent a combined 9 years at software companies such as Microsoft and SAP Concur, ensuring channel partner success through strategic alignment and joint business development. 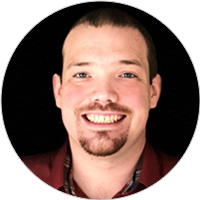 Kevin is specifically passionate about finding ways to help local ISVs reach customers all across the globe. 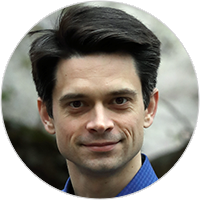 Kristof Schum (AWS) – Global Segment Leader for Machine Learning at AWS Partner Network. Kristof has been with Amazon for 3 years, initially as senior product manager for a machine learning based recommendations engine for Sellers on Amazon. Also at Amazon, Kristof has been teaching for 2 years at the company’s Machine Learning University. Prior to Amazon, Kristof obtained an MBA from The Wharton School and worked as a management consultant for 5 years. Thomas has been an AWS customer since 2012, leading his previous organization’s cloud migration efforts. His positive experiences with AWS led him to wanting to focus on that full time. 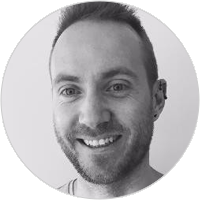 Thomas came to AWS in 2014 where he has been a Technical Account Manager and Solutions Architect, currently focusing on enabling AWS Managed Service Providers build solutions in the cloud. Based out of Seattle with his wife and two young daughters, he enjoys cycling in his spare time. 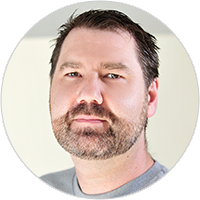 Nick leads the Amazon Web Services Migration Growth Team across Australia and New Zealand. Prior to joining AWS Nick led Accenture’s SAP Business Group in Australia and New Zealand, and assisted customers with their SAP-led business transformations for more than 20 years. Nick is driven by the huge opportunities for regional customers to grow their businesses by migrating and modernising on cloud.Businesses agility and innovation is unnecessarily constrained and enterprise finance is unreasonably impacted by on-premise infrastructure. AWS has the long-term public cloud experience to offer customers the security, reliability and cost-efficiency they are seeking for running enterprise workloads.